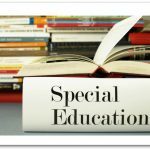 Do your students need help to excel in Science and Math? 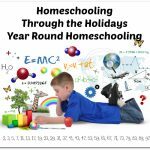 If so, ScienceandMath.com has some products you will be interested in learning more about. Award winning video lessons, done in a step by step fashion, will help to ensure that your students gain a thorough understanding before moving on to the next step. 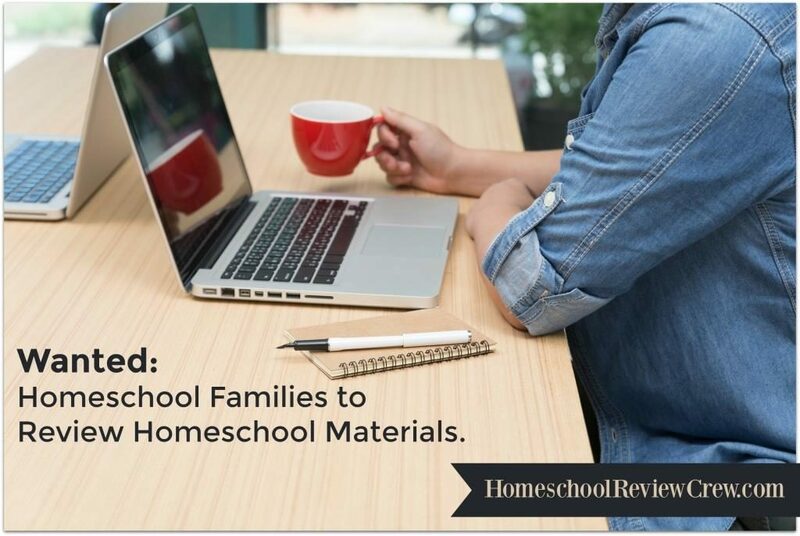 These videos help your student learn, practice and master the subject at hand. 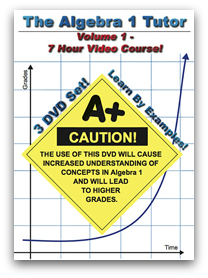 Algebra 1: Volume 1 (DVD) will help your grade seven and up students learn algebra. 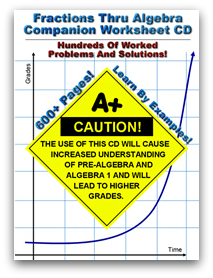 This DVD and additional PDF download of Fractions Thru Algebra Companion Worksheet CD, assumes that you know absolutely nothing about algebra and starts you off at the very beginning, taking you step by step, at each stage walking you through a problem in a very detailed manner. This DVD has helped students all over the world understand Algebra through their series of videos. This is excellent math tutoring right at your fingertips. 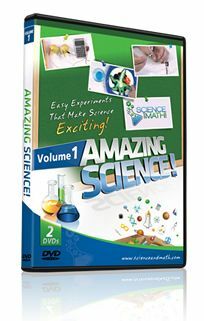 Amazing Science, Volume 1 walks students in Grades 1-3 through a variety of experiments, offering students a chance to explore science, while gaining a solid understanding as to why the experiment worked. 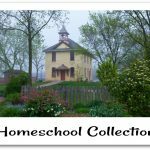 The set of two DVD’s with 23 experiments is truly amazing! You’ll learn about such things as electricity, magnetism, heat, temperature, pressure, surface tension, buoyancy, and much more—and your children can do the experiments hands-on! 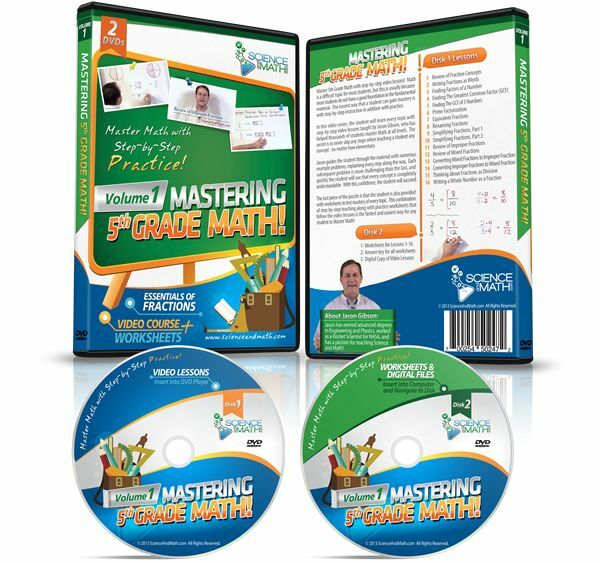 The last product reviewed for ScienceandMath.com is Mastering 5th Grade Math – Volume 1 – Fractions. This is a DVD with a worksheet PDF included. This DVD has 16 video lessons that give you a step by step approach to understanding fractions. No step is missed so that as the lessons progress your 4-6th grade students gains mastery in understanding fractions. This DVD comes with worksheets in PDF form to help your student cement their knowledge. 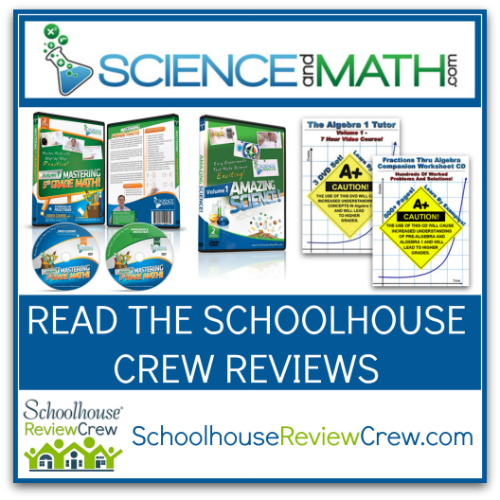 Help your student achieve success with their fifth grade math. Look for ScienceandMath.com on Facebook . Click on the banner below to read the Crew Reviews! 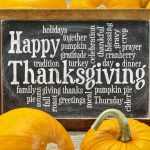 A big thank you to Annette of A Net In Time Schooling for writing this introductory post.